PRESCOTT, Ark. 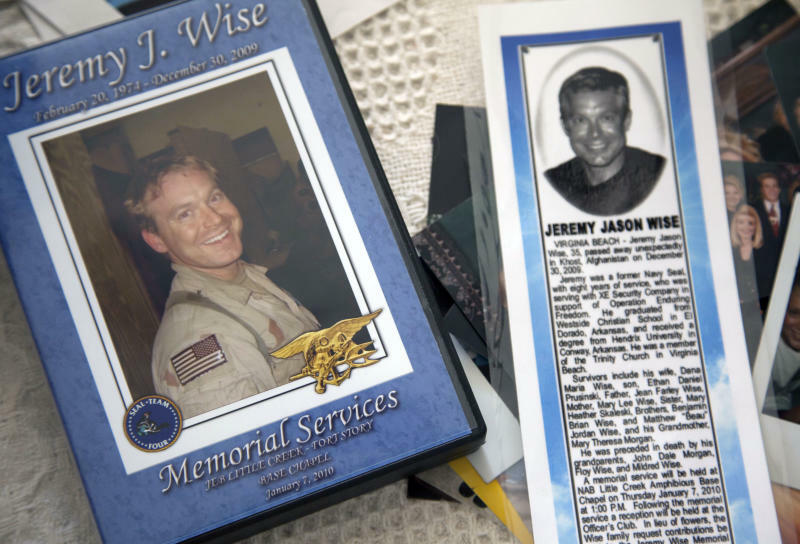 (AP) — When their older brother Jeremy died in Afghanistan, Ben and Beau Wise did what loyal brothers and soldiers do. They stood solemnly in uniform at his memorial, laid red roses in front of his picture, and Ben spoke bravely to a chapel full of loved ones who came to mourn. Jeremy, Ben and Beau played with soldiers long before they became soldiers themselves. Playtime was something of a battlefield rehearsal. When the G.I. Joes were idle, their toys morphed into land mines, waiting to be stepped on in the carpet at the family's home in southern Arkansas. The three Wise boys and their sister, Heather, grew up in a small town called El Dorado. It wasn't a far drive from the country, where their father, Jean, taught the boys to hunt squirrels and deer when he wasn't treating patients as an ear, nose and throat doctor. The house was always full of something: the smell of mom's venison fried up with lemon pepper, the sound of the kids riffing on guitars or banging on drums. Amid the chaos, though, was harmony. A friend once asked why they didn't have cable. Ben looked at him and said, "We've got each other." At night, when Beau was tucked into bed, the big kids would have story time. Ben and Heather would sit with legs crossed and listen to Jeremy, who even as a teenager, saw himself as a protector: sword in hand, clad in armor, crossing bridges to battle monsters with glowing eyes and yellow breath. "In the story, of course, he's always the hero," their sister, Heather Skaleski, said. As they grew older, military dreams turned into career plans. Ben aired his by the time he was in Sunday school. Most of his classmates raised their hands when a teacher asked what they wanted to do when they grew up. Not Ben. He got up from his seat and drew a picture of a soldier on the board. Years later, in 2000, he enlisted in the Army — and then told his mother. "I was indignant because I was Mommy and I thought he should talk with me, which I realize now was laughable," his mother said. Jeremy signed up next, dropping out of medical school to become a Navy SEAL. The last to join the military was Beau. Determined to keep her last son out of harm's way, his mother refused to cook for him for two weeks when he announced he was going to become a Marine. "I was just so mad because I wanted to protect him," Mary Wise said. Her protests didn't work. He followed his brothers. Once the deployments began, they seemed constant. Beau shipped off to Afghanistan for the first time in 2009. 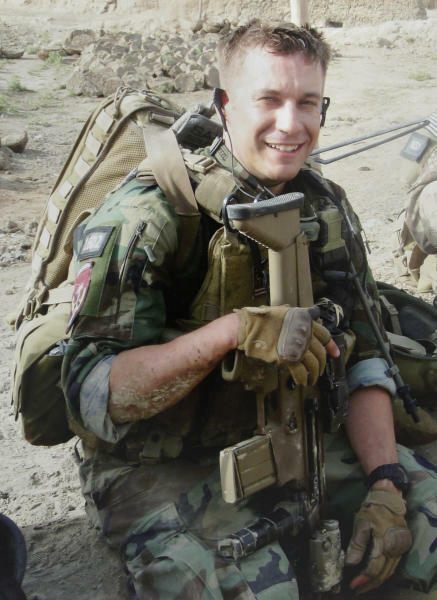 Ben had finished a deployment earlier that year and was preparing for another with his Special Forces unit in 2010. "One was always coming or two were there and one was home," their mother said. "He loved us almost suffocatingly so," she said. When he was working in Afghanistan, Jeremy called home often and made the adventure sound like a vacation. He talked about the food, the hotels — not the danger. "He wouldn't tell me anything about it because he didn't want me to worry," his sister, Heather, said. The risk became real at the end of 2009, when the Wise parents were celebrating the birth of Ben's baby boy in Washington state. Amid the celebration, word came from overseas: A suicide bomber had killed Jeremy at a CIA base in Afghanistan. 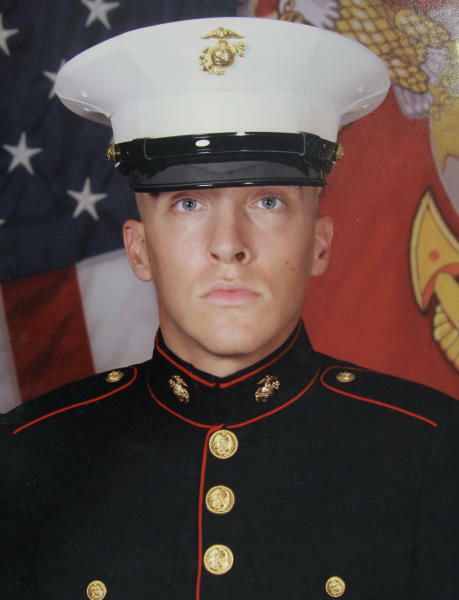 His family met his remains in Dover, Del. It was a cold, gray day and the family waited inside a bus that felt like a funeral parlor, Heather recalled. Ben took Heather's hand in his and they whispered memories about their brother. Deployments were harder after that. Ben and Beau headed back overseas not long after the funeral. The war started wearing on Ben, a medic who repaired the wounds that men inflict on each other. He worried about his younger brother serving in another part of Afghanistan. "(Beau's) heading home here in the next few days, which is a huge load off my mind," Ben wrote in a Facebook message to a friend. He waited for his own homecoming. During his final deployment, Ben would tell his sister stories about his son, Luke. Then he would cut himself off, unable to talk about the baby boy he couldn't hold in his arms. "The pain comes in when you have to think about home, think about the people you love and then just try to block it out ... for your family and for your fellow soldiers," Heather recalled him saying. He prayed. He had faith that he would come home. So much faith that he turned down a friend's offer to ship him a care package in December, telling him that he would be packing up by the time it arrived. The next month, an insurgent shot Ben after he and his fellow soldiers saved a number of women and children in Afghanistan. A medic unto the end, he helped tend to his own wounds before he was flown to a hospital in Germany. Beau caught a flight and accompanied Ben's wife to the hospital, where she saw her husband for the last time before becoming a widow. Ben fought to stay alive, even after doctors cut off his legs, even as his body failed, even as his organs started shutting down. He died on Jan. 15, shortly before his parents arrived to say goodbye. "We were crying and I said, 'It's just you and me now, bro,'" she said. "Just us two." Again, the family found themselves in the same chapel, the same veterans cemetery, to say goodbye. He will not deploy for war again. Though the Marines will not talk specifically about Beau's case, the military has policies in place to protect surviving sons like Beau and families like the Wises. It's rare for brothers to die in the same war, but not unheard of. One of the most famous cases of siblings dying in war is the five Sullivan brothers, who died together at sea during a battle in World War II. Mary Wise says the military assured her that Beau won't be sent into conflict again. Their family has sacrificed enough. More than enough.